Heat oven to 350°F. Spray 32 nonstick mini muffin cups with cooking spray. Cut each bacon slice into 6 pieces; set aside. Cut each cheese slice crosswise into 4 strips, then cut each strip crosswise into 6 pieces for a total of 24 pieces per slice. 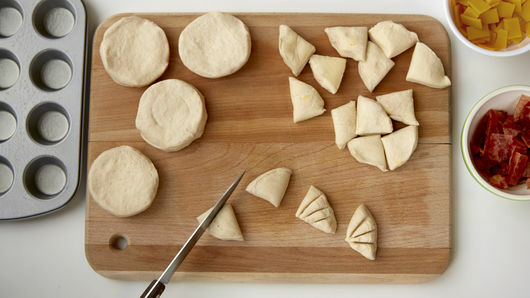 Separate dough into 8 biscuits, and cut each into quarters. With serrated knife, carefully cut 3 slits into top of each biscuit piece about 1/4 inch apart, without cutting all the way through to the bottom. 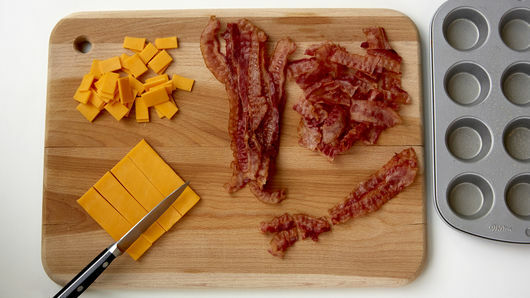 Stuff each slit with a piece of bacon and cheese, folding the bacon in half. Place assembled biscuit bites into each muffin cup, filling side up. Bake 15 to 17 minutes or until cheese is melted and biscuit dough is golden brown. Brush melted butter on top of baked biscuit bites. 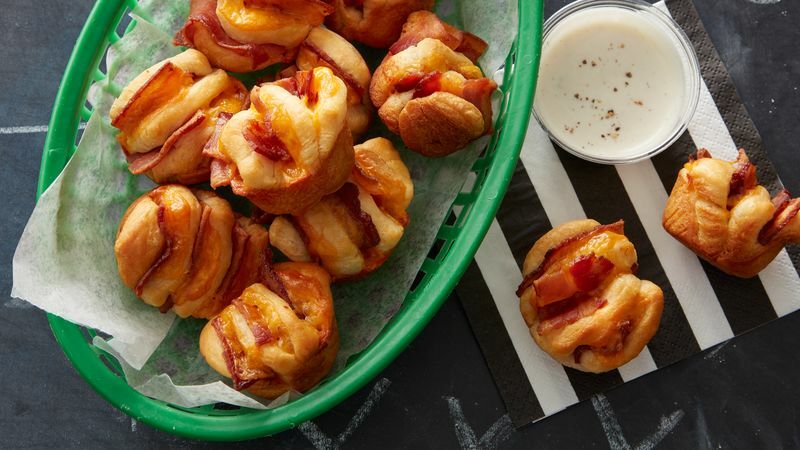 Remove from muffin cups, and serve warm with ranch dressing. 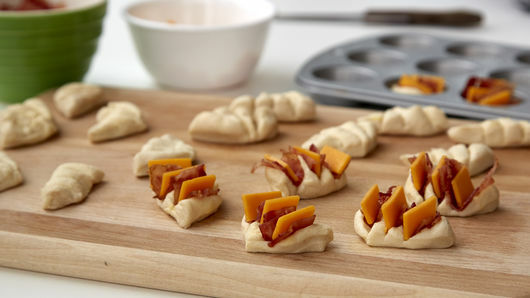 Have fun making your own unique flavor combinations using different varieties of cheese and bacon. Make it easy by purchasing precooked bacon at your grocery store.